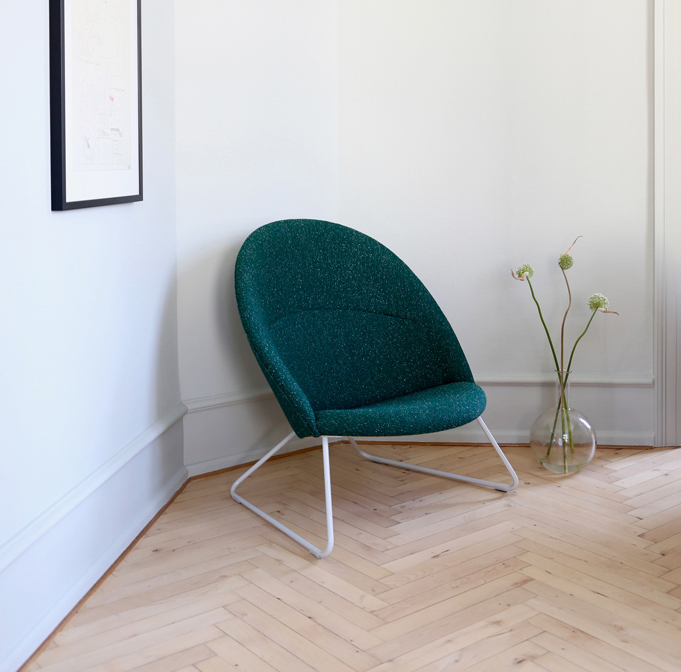 Onecollection has relaunched the easy chair, Dennie, which was designed by Nanna and Jørgen Ditzel in 1956 for Fritz Hansen. The Dennie Chair is nicely complemented by a footstool and a small table. 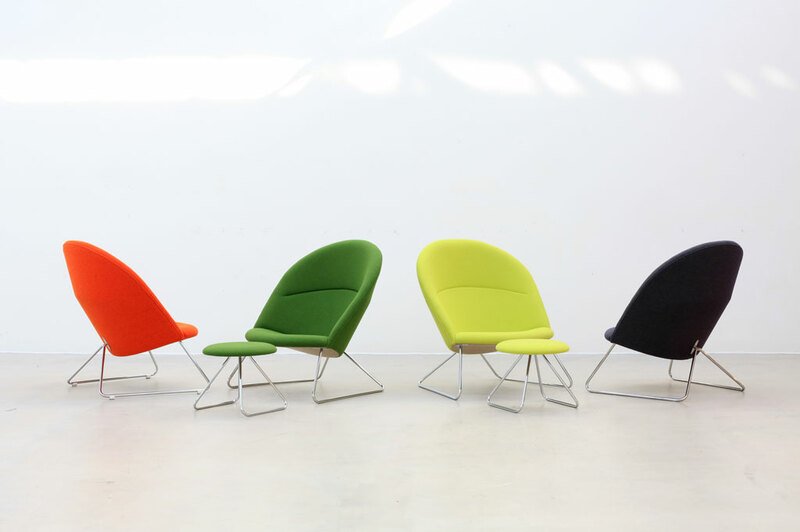 Nanna Ditzel, who was one of the most influential modern furniture designers in Denmark, passed away in 2005. Her daughter Dennie, who oversees her parents’ design heritage, asked Onecollection to relaunch the chair which has always held a special place in her mother’s house. To Dennie, it is her cozy childhood chair, where she sat safely and had stories read out loud to her. The chair, symbolically named Dennie, is available with upholstery in fabric or leather and a frame in chrome or black painted steel. 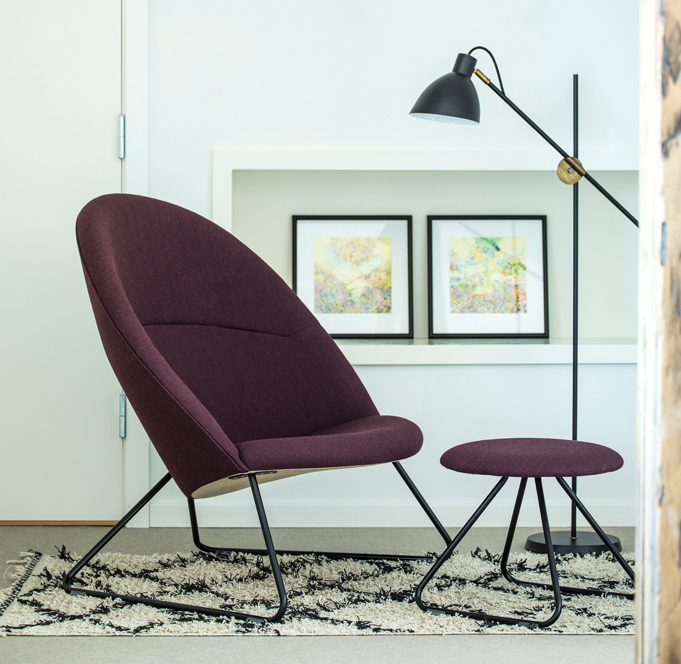 The Dennie Chair combines style with casual comfort. Whether placed in the living room or the office, the curved shape and soft seat create a welcoming vibe that invoke relaxed conversations. Furthermore, an upholstered footstool and a small side table with a white laminate tabletop are part of the Dennie series. Frame: Satin chrome, chrome, burnished steel or black painted. Dimensions: Chair: W 82cm x D 80cm x H 90cm and 37 cm seathight.